Our history begins with Moravian Pastor Joseph Weinland and his quest to find the village of Schoenbrunn, a Moravian mission founded by David Zeisberger in 1772. Weinland was the minister at many of the local Moravian Churches in Tuscarawas County. He first learned of Zeisberger while at seminary. Weinland enlisted the help of local school superintendents who formed the not-for-profit corporation, the Tuscarawas County Historical Society, to mark historic sites in the county. The first trustees were Charles Barthelmeh, Charles Limbaugh, J. E. Hurst, E. L. Wenger and Miss Helen Hoover of New Philadelphia; Reverend J. E. Weinland, S. O. Mase, L. E. Oerter, Mrs. E. O. Shafer and R. N. Wilkin of Dover; W. H. Stoutt of Uhrichsville; Edward Moody of Dennison; John Spidel of Strasburg; J. H. Lippencott of Newcomerstown; and Elmer Simmers of Gnadenhutten. ​When Reverend Weinland was serving at Sharon Moravian Church, he spent time restoring the Goshen Cemetery that is the final resting place of David Zeisberger. This led to his interest in locating Schoenbrunn. 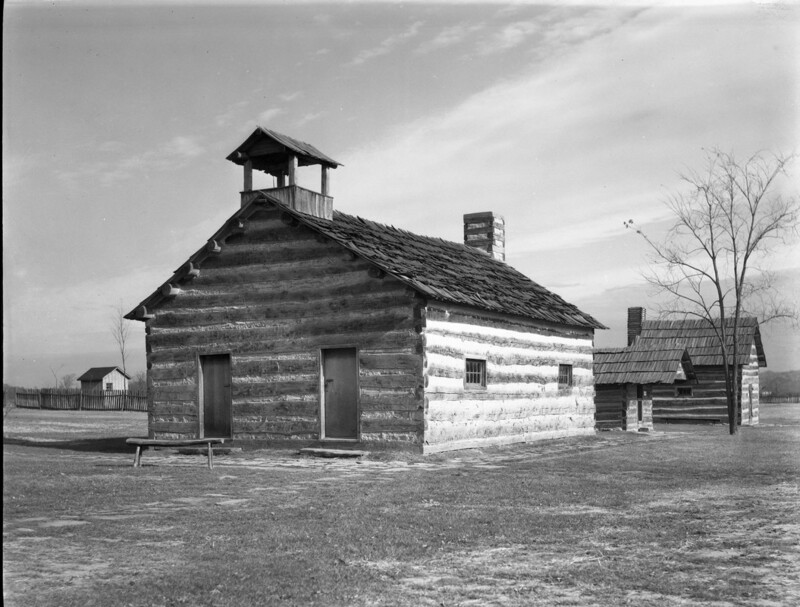 The school superintendents became interested because they wanted to rebuild the first schoolhouse in Ohio, located in the village. The work to locate Schoenbrunn began with the location of the spring for which the village was named. Schoenbrunn means "beautiful spring." From that starting point six sites were examined using maps from the Moravian Historical Society in Pennsylvania. Zeisberger's fireplace was found and from there other buildings and God's Acre, the cemetery, could be found. Money was generated from a variety of sources to reconstruct the village. The Historical Society continues to be actively involved in the rich heritage of Tuscarawas County as educators to our school children, by providing community programming, by erecting historical markers, by providing funds for projects such as the archeological exploration of Fort Laurens, the only Revolutionary War fort in Ohio, by maintaining Goshen Cemetery, and through the publication of our newsletter, The Chronicler, six times per year. In 1981 the Society began presenting the Zeisberger Heckewelder Medal to recognize individuals and organizations who have made significant contributions to Tuscarawas County. Since 1992 the Tuscarawas County Historical Society has operated a site for archival study at the Tusc Kent Archives on the Tuscarawas Campus of Kent State University. This archive began with the great donation of Earl P. Olmstead's vast history collections and research for his books on David Zeisberger.